With millions of users creating six-second videos every month (and those six-second video loops getting watched billions of times) Twitter‘s super-short-form video platform Vine is still figuring out ways to grow like a weed. 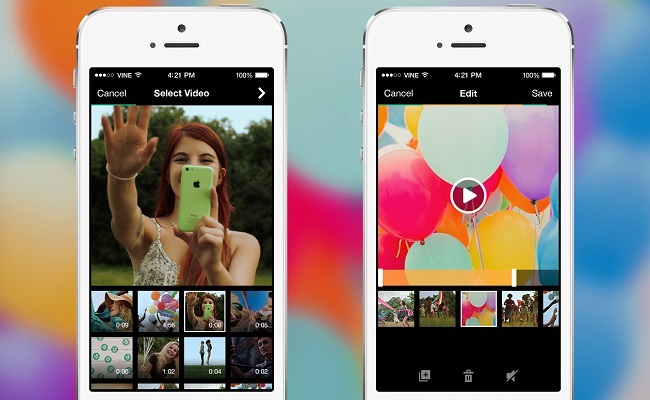 To that end, the company recently announced a new camera and video-editing feature within its app that allows users to both adapt and import existing videos to Vine. According to the Vine blog, its developers added the ability to take short videos using your phone’s front and rear-facing cameras. Vine’s dedication to “make it easier for people to create, share and discover short, looping videos” means the company’s also allowing users to import and mix together videos (even ones in slow-motion!) from their phones, whether or not they were previously recorded using the Vine app. To the uninitiated, this is a big deal. Since Vine’s debut, the videos on the platform had to have been created in real-time within the Vine application. It was a confinement that actually greatly contributed to Vine’s popularity, as burgeoning Vine stars (like Bo Burnahm, Megan Cignoli, Zack King, and basically every single other well-known Vine creator) figured out incredibly creative ways to use Vine’s progressive editing feature, much to the delight and awe of Vine viewers. The new additions to the app will undoubtedly have somewhat of an impact on content creators and the type of videos they put on the platform, but it’s unclear if Vine will change dramatically. It will take a lot longer than six seconds to tell. The features also don’t end with editing and upload capabilities. New tools like the duplicate button and ghost mode allow you to recreate your video twice or see the previous frame, useful when trying to match up shots, while the torch feature means you can now shoot in low-light settings. What’s more is that you can now also preview and undo your last clip. Check out the new camera feature by downloading the latest version of the Vine app on iOS (Android coming soon), and share your oldest video on your phone using the hashtag #VintageVine.